Building a Culture of Distinction is an organizational culture and change management program. This organizational culture assessment and alignment workbook--designed for program participants--provides background information, activities, tools and techniques to define, shape and manage your workplace culture and implement strategic change throughout your organization. Begin by defining your organization's central principles that capture its contribution and character. Next, build on that identity-defining foundation by establishing the strategic Priorities that will enable your organization to compete and thrive. Weave these Core Culture principles throughout your organization so everyone lives by shared standards for success. Use this groundbreaking program to infuse a united focus throughout your organization. Make your workplace principle-focused, purposeful and personally fulfilling. 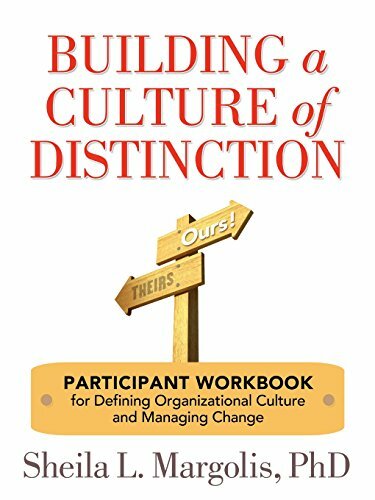 This Participant Workbook is identical to Section B of the companion Facilitator Guide--Building a Culture of Distinction: Facilitator Guide for Defining Organizational Culture and Managing Change--except the Participant Workbook does not include the Facilitator Notes. An additional resource--There Is No Place Like Work--is an ideal introductory reading on the culture concepts. Take part in building your culture of distinction. Participate in the process to craft your organization's culture and facilitate change. Discover how to make culture a powerful force that drives your business.